The beauty of Antigua struck Philip the moment he arrived in 1980. Since then he has designed and built himself and his family a home and contributed to Antigua's preservation. The beauty of Antigua struck Philip the moment he arrived on this Caribbean island. Since that day in 1980, he has designed and built himself and his family a home; developed a close-knit circle of friends; and taken the island to his heart. 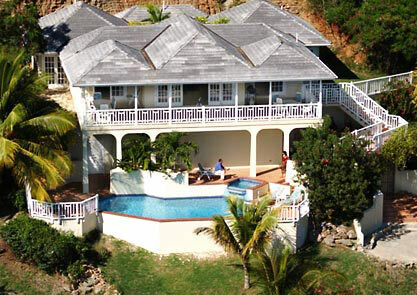 Philip’s Antiguan home – the English Haven – overlooks the magnificent English Harbour. But it is on a nearby promontory of land above the harbour that a different property lies, for which Philip has developed a particular passion. The property is Clarence House, the summer residence of former Governor-Generals of Antigua and Barbuda and a masterpiece of Caribbean Georgian architecture. Originally built for William of Orange, it occupies a commanding position above the English Harbour and Nelson’s Dockyard – the 18th century Caribbean base for the British Navy from which Admiral Lord Nelson famously set sail for the Battle of Trafalgar. Over his years of involvement with the island, Philip had watched as this priceless piece of British and Antiguan heritage had been ravaged by hurricanes and fallen into neglect. Despite valuable attempts to achieve its restoration – most notably by former Governor-General, His Excellency Sir James B Carlisle – the renovation work faltered. When Philip was subsequently invited by the National Park of Antigua – the owners of Clarence House – to drive forward this ambitious project, he did so with alacrity. In 2008 Philip formed the Clarence House Restoration Trust alongside Sir James Carlisle and Dr Reg Murphy, and working closely with the Government of Antigua and the National Park identified a network of potential benefactors. The ultimate aim of the Trust is to restore the residence to its original glory; open the property to the public and return it to its former use as a residence for visiting Heads of State.